Two building sites each extending to approximately 1050 square metres (1/4 of an acre) with planning in principle for a dwelling on each. Extra land is available by separate negotiation to allow the purchasers more space. There is the potential for a third site within the area and the price would be negotiable. With their elevated position the sites enjoy exceptional panoramic sea views over the Deerness Sound. Electricity and water are located on site and telephone is close by. 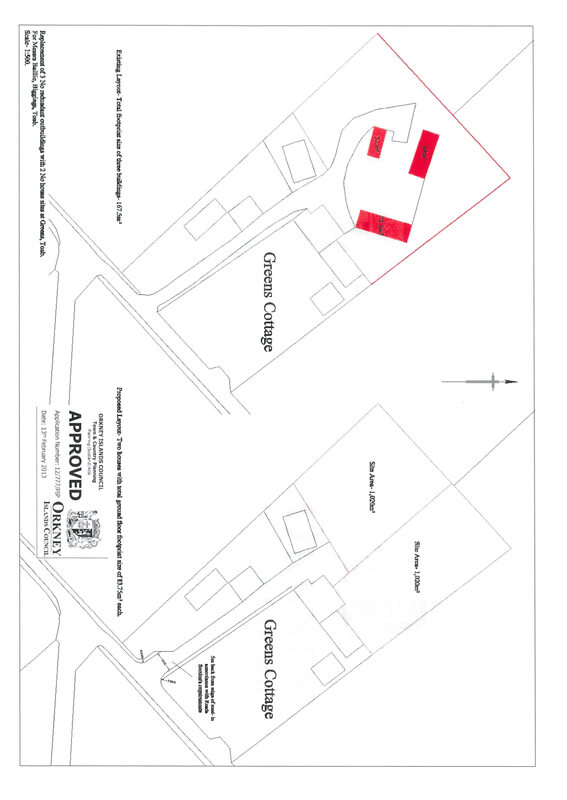 These sites would be ideal for a family wishing to build and move to the area as it will be within the catchment of the St Andrews primary school which has an excellent reputation.